Aztec is one of our simpler designs. This one is done with 9 fabrics in a rail fence design. The trick is all in the color placement. As I always do the workshop will start with a short version of the fitting class. Then proceed into the jacket design. Aztec is built on a muslin base and lined. 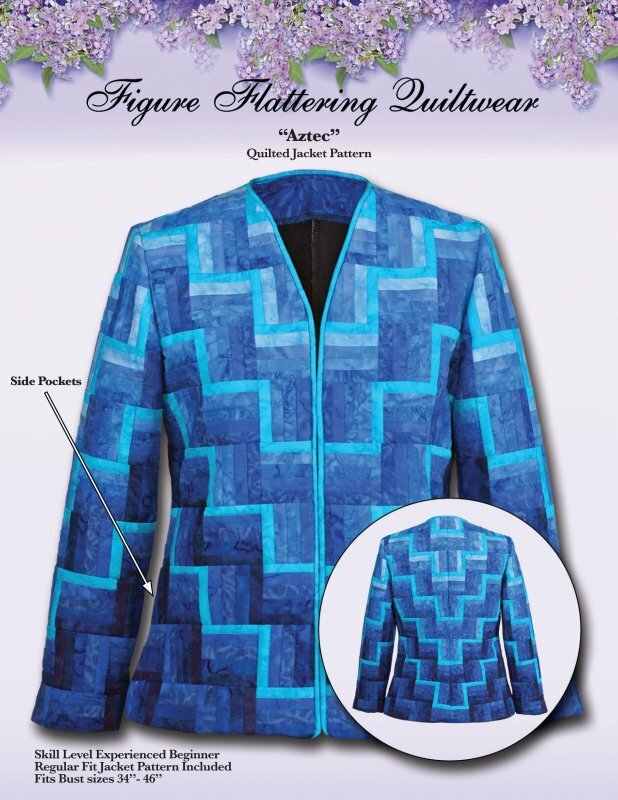 Tips and tricks for finishing and lining this jacket will be demonstrated in class even beginners can handle this one. Pre-class preparation is required. This is best done in a 1 1/2 day (12 hour) class. Fabric choices: Choose an accent color that you love. Then choose mono-chromatic colors for fabrics #1 - #9 light to dark. Batiks work very well for this and are easy to find.